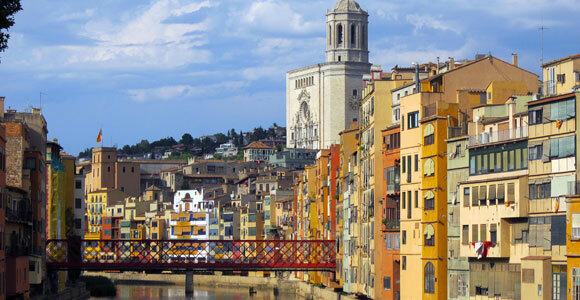 Girona is a charming town of modest size, but with a lovely scent that permeates each of its many alternatives for entertainment, recreation and relax, which compete with the most popular destinations all over the world. This beautiful city in the Autonomous Community of Catalonia is crossed by four beautiful rivers (Ter, Güell, Galligants and Onyar), at an altitude of 75m above sea level, and also has lush mountains and forests. These natural goodness, together with its infrastructure (including a modern airport), makes of the city a must visit for all tourists. Its perfectly preserved historic centre, mild climate, extensive cultural agenda and versatility of environments for the enjoyment of its visitors, are some of the many reasons that guarantee a very pleasant experience. 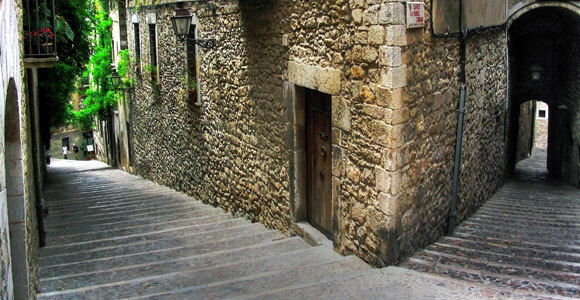 The old town of Girona (Barri Vell) is the most beautiful of the Catalan region, surrounded by the remains of the walls that defended the city from attacks of Muslim’s forces and Europeans (especially Frenchmen). The Roman fortress "Força Vella" stands out among the oldest buildings. The Jewish ghetto, called "Call Jueu", was the place at ease where a large Jewish community sat down until the late fifteenth century. This historical place remains well preserved and offers an intimate look at its development. We must also name the picturesque "Houses of Onyar", painted according to suggestions of famous artists and architects to enhance the idyllic setting of location and facade. Its beautiful squares and the chance to appreciate attractive Gothic and Baroque architectural gems, ensures an interesting visit. Apart from its architectura, museums and attractions that condense a vast historical legacy, Girona is also a modern city with tremendous tourist potential. With a huge cultural agenda which has no comparison, holding major art forms such as film, music and theatre in all its forms from classical and folk, to modern, avant-garde and experimental. 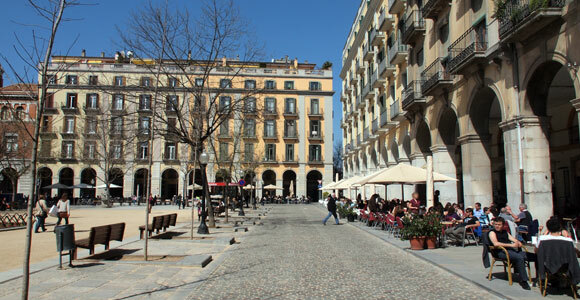 In his numerous nightly entertainment options, bars, nightclubs and discos; music, predominantly jazz, covers the nightlife of Girona with a delicious and eclectic dining card that makes of the city a world leader by getting a balance with openness to novelty without disregard of tradition. The people of Girona celebrates various festivities such as “Fires i festes de Sant Narcís” which is a celebration for St. Narcissus. 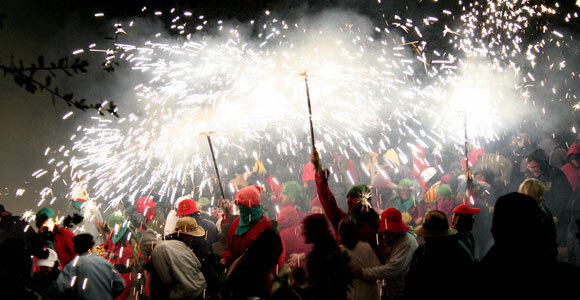 In this festivitiy, pyrotechnics are celebrated and the streets are filled with flowers of all colours and scents. In addition, there’s also the famous “Temps de Flors”, a touristic-oriented celebration with flowers and cultural activities all around the city. Many monuments and public spaces are adorned with floral creations. Also, the owners of private courtyards and gardens of “Barrio Viejo” open their doors and share their creations with neighbours and tourists.